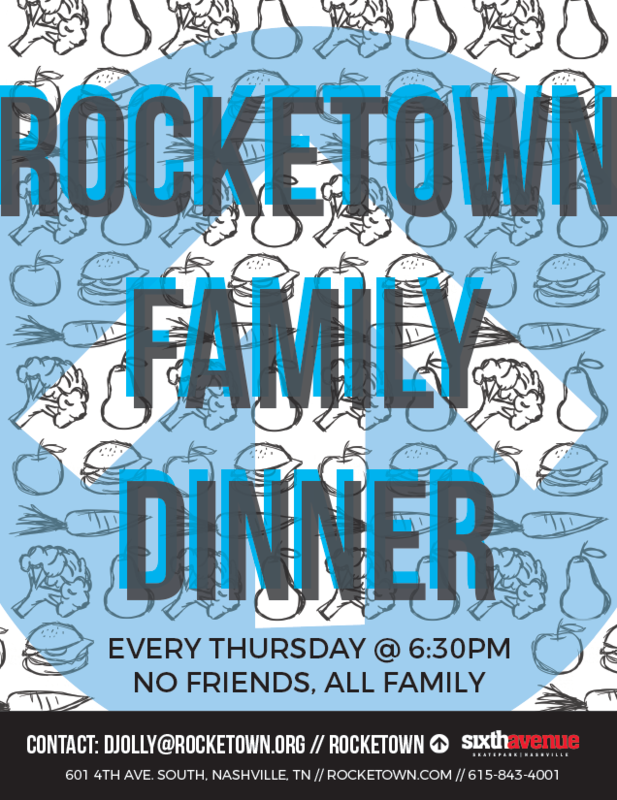 Rocketown Family Dinner is a free weekly meal that is designed to bring people together in welcoming family setting. People of all ages from different walks of life get together to break bread in unity. With changing meals each week, to great games, special live performances, and guest speakers, Family Dinner is always a great time. If you need to be encouraged or would just like to share a delicious meal with friends then Family Dinner is the place for you. We meet every Thursday at 6pm. Volunteers come at 5:30pm. For more information, e-mail djolly@rocketown.org.